The treatment of cancer is associated with a variety of problems which, to various extents, contribute to the failure of most therapeutic attempts. 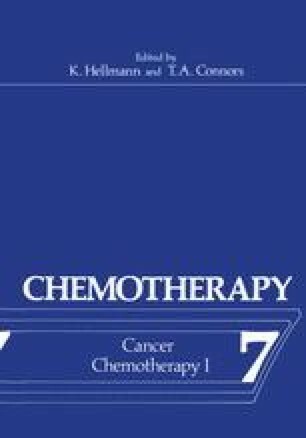 The outstanding cause of our present difficulties in treating cancer derives from the absence of specificity in the action of available antitumour drugs which in most cases will kill malignant and normal cells alike. Because of this lack of discrimination, a variety of side effects can harass or even threaten the life of treated patients.